Roles in this part of New Zealand are rare - and we are looking for two. People love the climate and lifestyle here, putting down long term roots. We are seeking two General Surgeons (preferably with endoscopy scoping capability) to join a District Health Board, one to be based in each of their main sites in Nelson and Blenheim. These are permanent positions and less than full-time at 64 hrs per fortnight (80 hrs are standard) plus on call, enabling true work/life balance - ideal if you have a young family. Joining a team of 8 General Surgeons and one Vascular Surgeon, you will assist in delivering high quality general surgical services for a population of approx 145,000. Although primarily based in one site, you will be part of a district-wide service and you will be required to work from time to time across Nelson (150-bed) and Blenheim (88-bed) Hospitals, and to participate in the after-hours acute roster. You will have a wide range of experience and skills across General Surgery along with a sound understanding of contemporary models of care; proven leadership skills and experience working in a multidisciplinary team environment; an interest in medical education and teaching; and a commitment and willingness to be involved in continuous quality improvement programmes. *Part-time positions at 0.8fte (64 hrs per fortnight) will be calculated pro-rata. 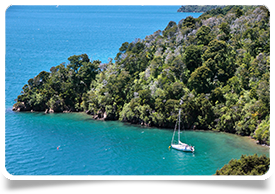 The Marlborough and Tasman regions offers a fantastic lifestyle for those who love the great outdoors: mountain biking, paddle boarding, kayaking, hillwalking, sailing, ski-ing, fishing, and golfing - the opportunities to enjoy the natural environment are endless. The sunny climate and rich soil creates ideal conditions for vineyards, and many award-winning wines are produced in this part of New Zealand. Both Nelson and Blenheim offer good schools to high school level as well as affordable property, from townhouses to lifestyle blocks with acreage. Alternatively, if not NZ trained or based, you will hold equivalent specialist qualifications from either UK & Ireland (via CCT), Australia, Canada or USA that will enable Provisional Vocational (long term) registration or Locum Tenens (short term up to 12 months) registration. These are the specialist pathways for medical registration in NZ for General Surgeons and we can assist with medical registration and work visa applications, if you are successfully appointed. Please note, Caroline is based in Wellington, New Zealand, having made the move with her family from the UK in September 2017.